Despite many Australians opting not to heat their homes to the point of complete comfort, many of us nevertheless will soon receive a nasty surprise when the energy bills arrive. 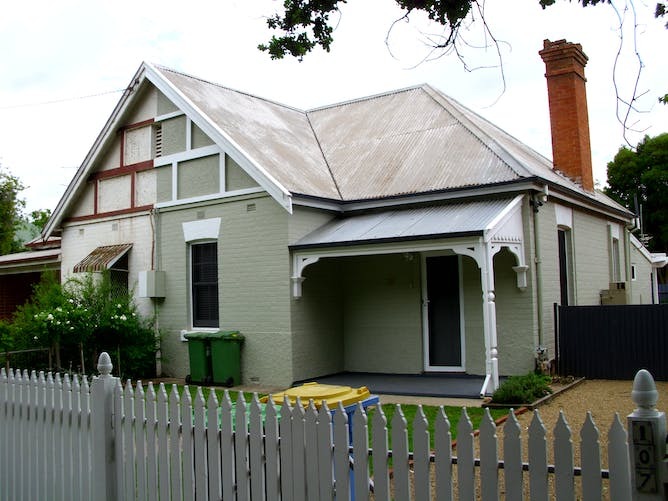 With Australia’s historically cheap energy, old housing stock in many areas, mild climate and frequent emphasis on low building costs, many homes are little more than “glorified tents” when it comes to thermal performance. Besides wanting smaller bills, many residents also want to improve comfort, lessen their environmental impact and boost their home’s value. So here is a list of 22 things you can do to improve your home’s energy performance – some cheap, some free, and some that can even make you some money up-front as well as cutting your bills. Of course, to reach the ultimate goal of a home heated and powered by 100% renewable electricity you may still wish to put some solar panels on your roof, but why not consider the following actions first? 1. Make sure you get the maximum discount on your energy bills. Although not available everywhere, in Victoria discounts of up to 38% are available on gas or electricity. Ring up your retailer and just ask, or threaten to switch, or better yet seek out a retailer that doesn’t treat their discounts like state secrets. 2. Monitor your power usage with the help of a “smart” electricity meter or in-home electricity display. This real-time (or near-real-time) information is more useful than the coarse monthly data commonly printed on energy bills. It can help identify appliances that have inadvertently been left on or those that draw excessive power when not in use. 3. Heat your water off-peak. If you have a resistive-electric hot water storage tank, make sure it heats up at night, when off-peak power rates apply. In some areas, “time of use” rates are available. 4. Get rid of your ‘garage fridge’. It can cost hundreds of dollars a year to run an inefficient 20-year-old fridge, especially if it’s in a garage that hits 50℃ in summer. 5. Ditch your super-hot plasma. If you have a 10-year-old television that gets so hot you can fry an egg on the screen, check out the newer models that can use one-tenth of the electricity. 6. Install a modern showerhead, such as those designed with double-impinging jet technology that use only 5 litres of water per minute. Old showerheads can pass up to 35 litres per minute. Why not grab a bucket and stopwatch and test yours? 7. Insulate any exposed hot water pipes, including the pressure-relief valve on your hot water tank. Make sure hot water pipes do not run uninsulated straight into the soil in your garden. Insulate electrically heated storage tanks where it is safe to do so. 8. Check your heaters and air conditioning. Gas heating systems should be checked at least every two years by a qualified person, not least to keep poisonous carbon monoxide gas at bay. All heating or cooling system filters should be cleaned regularly to improve energy efficiency and air quality. 9. Inspect your ducts. Poorly installed or degraded ductwork can lead to big energy losses, which can go unnoticed for decades. Ensure that small children or animals have not gone under your house and damaged your gas heating ducts. Check also that air returns are properly “boxed-in” and do not draw air in from the wall cavity instead of from the living space. However, cleaning the inside of your ducts is not critical for energy saving, and risks damaging them in the process. 10. Banish drafts, for instance by plastering over those ubiquitous wall vents – relics from the days when homes relied on unflued heaters or gas lights. Seal off unused chimneys and fill any other cracks, gaps or holes around doors, windows, skirting boards, floorboards and architraves. Remember to close air-conditioning ceiling vents in winter. Ventilation should be controlled by opening windows, not by having permanent holes in the walls. Older houses can be full of drafts, including from wall vents which are a throwback to times when homes were full of indoor pollution. 11. Eliminate ceiling-mounted downlights wherever possible. A small number of modern wide-beam LEDs can adequately replace a larger quantity of narrow-beam halogen downlights. Aim to have as few holes cut into your ceiling as possible, because these holes let heat escape in winter and let it in during summer. 12. Install downlight covers over all downlights that protrude into accessible attic spaces. Not only does this reduce fire hazards and keep out insects, but it will also reduce air flow through the roof. 13. Replace all regularly used lights with LEDs. LEDs use a tenth of the energy of halogen or incandescent bulbs, so will pay for themselves in just a few months (even less in places where free replacement is on offer). Replace less regularly used bulbs with LEDs as and when they burn out, and vow never to buy a non-LED bulb again. 14. Insulate your attic…. If you don’t have roof insulation, buy some. If you do, check it meets the recommended “R value” for your climate. Ensure all vertical attic surfaces (walls, skylight tunnels) are also insulated, and include a layer of aluminium in your attic space. Thermal imaging can be used to identify existing flaws, such as gaps or sections of insulation inadvertently moved by tradespeople working in the attic. 15. …and your floors and walls too. In cooler Australian climate zones, floor and wall insulation can help keep heat in, making your home warmer and cheaper to operate. 16. Cover your windows from the inside… with drapes, curtains or blinds. This will keep in heat at night and on cold winter days, and keep out the sun in summer. Cheaper or do-it-yourself thermal window treatments such as plastic films or even bubble wrap can be applied in some situations (just don’t expect to win any design awards). 17. …and the outside. Trees, plants, external awnings, blinds or shade sails can all keep out the summer sun and stop windows getting hot. Remember that significant heat will reflect onto windows from sizzling decks, paved areas and walls (but not lawns). It’s better to keep out the sun in the first place rather than try to cool your house down. 18. Double glazing for windows cuts out noise, improves security and saves energy too. For many Australian climate zones, I recommend that homeowners never buy a window in future that isn’t double-glazed. Retrofit options options such as “secondary glazing” are also available. 19. Fit a pool cover if you have a swimming pool. Not only will this stop the water cooling down overnight in summer, but a cover can also minimise cleaning, chemical use and the running time for your filter pump. Consider upgrading to a more efficient pump if yours is more than a decade old, and ensure it does not run for more hours each day than required. Remember to cover up when not sunbathing. 20. Use reverse-cycle to heat your home…. If your home has reverse-cycle air conditioning (also known as a heat pump), this may be the cheapest way to heat, especially as gas prices rise. On heat mode, reverse-cycle units harvest free renewable ambient heat from the air outside your home and pump it up to the toasty temperature you need inside. Having installed high-efficiency reverse-cycle units, I can heat my own home for one-third of the cost of ducted gas heating. 21. …and your water. If your hot water system is nearing its use-by date, consider replacing it with a heat pump. This is an especially good option for homes that already have solar panels and low feed-in tariffs. 22. If you can eliminate all gas use in your home (for space heating, water heating and cooking), you can eliminate your gas bill with its nearly A$1 per day fixed supply charges. In Australia these days, you won’t be paid much money for selling your electricity back to the grid. However, it might still pay to install solar if you can consume most of the energy yourself, by running your pool pumps, appliances, space heating and cooling devices, hot water system and even an electric car with solar electricity harvested during the day. In future, as electricity storage batteries get cheaper, there may be even more economic reasons to have solar panels on your roof. This article doesn’t list every possible behavioural trick or home improvement. Sadly, some homes will never be fantastic energy performers without significant modification. But hopefully there are a few things on this list that will work for you – even if it’s only a case of finally covering that drafty doorstep, or giving your creaking “beer fridge” a dignified retirement.